After a terrible tout situation in Lombok (don’t let anyone touch your luggage! and walk away from the port toward the town to find a legitimate taxi stand) and a surprise international airport fee (you have to pay $10 to leave Indonesia) at Lombok airport, we finally arrived in Sandakan where we saw orangutans! Our taxi driver very efficiently drove us to Paganakan Dii (the taxi drivers at the airport know every single hotel so just tell them the name), a super awesome eco-friendly resort. We stayed in a ridge hut room, which comes with 2 bunk beds and a queen bed with mosquito netting. At night, we could hear the sounds of wildlife as we fell asleep; it was like having a sleep machine, but real. They have a 5-min shuttle to Sepilok in the morning and will arrange for pickup from there for 10 MYR. There is a spacious common area and the woman at the front desk is super friendly and helpful. 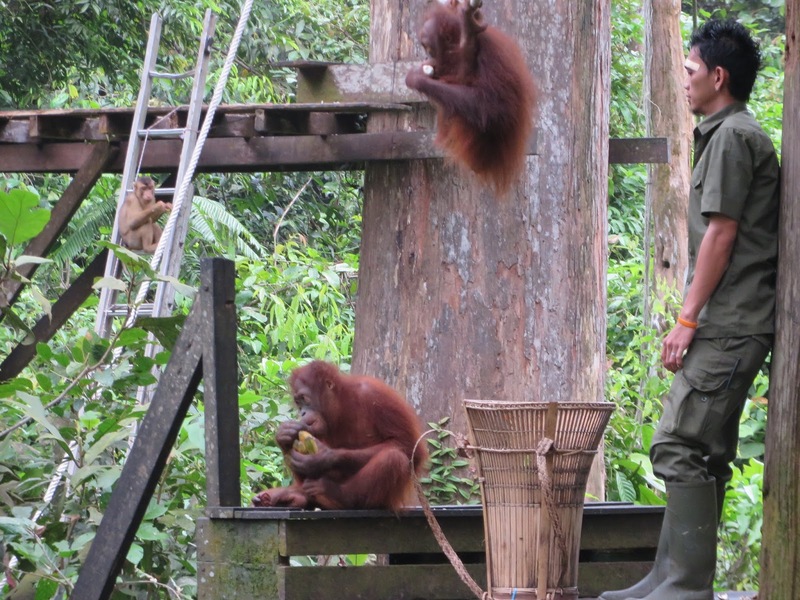 And we got to see Orangutans at Sepilok. 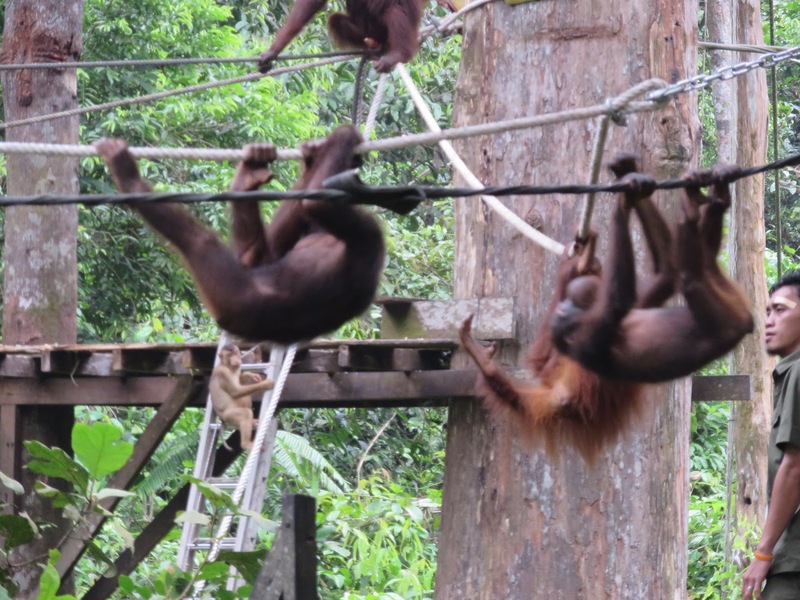 The Bornean Sun Bear Conservation Center is also right next to Sepilok. It’s not yet open but we got the chance to visit and they are doing awesome work to help injured sun bears whose habitats are being displaced by the palm oil plantations.